Our friendly, helpful staff will take good care of you throughout your visit. Making your visits comfortable and relaxing, while making sure you receive the very best dental care, is our top priority. We provide dental services for the entire family, from cleanings and checkups to complex full-mouth restorations and smile makeovers. 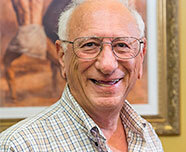 Dr. Padolsky is committed to giving the very best care to his patients. This is demonstrated by the years of schooling and the advanced continuing education programs he has completed. Patients feel confident and put their trust in Dr. Padolsky because of his many years of in-depth training and experience. 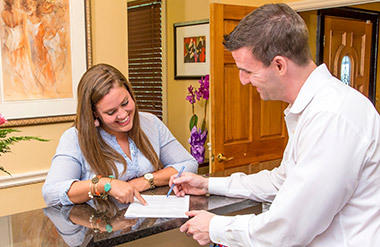 As one of the highest-credentialed dentists in Georgia, Dr. Padolsky stays current with the latest advances in modern dentistry. Dr. Padolsky has earned five fellowships in dentistry, including a mastership in the Academy of General Dentistry. 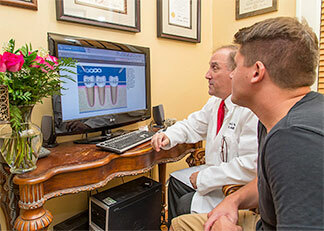 He completed the very first university-based dental implant course at the Medical College of Georgia in 1987 and is constantly keeping up to date with the changes in dentistry through extensive continuing education. Dr. Padolsky uses state-of-the-art equipment to help diagnose, plan and perform the most complex dental procedures. His procedures are minimally invasive, which means that his focus is on making your dental treatments as painless as possible while preserving the tooth’s structure and its surrounding tissues. 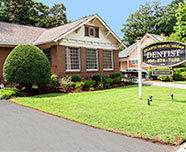 At the Atlanta Dental Group, our friendly doctors and staff will make you feel welcome right away. 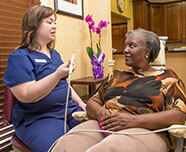 We regard our patients like family and do everything we can to make them feel at home and comfortable. 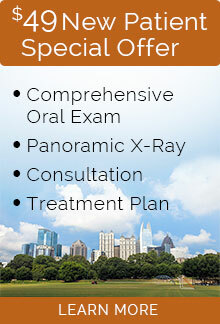 We treat the whole patient, not just the specific dental problem. Dr. Padolsky will take his time talking with you and answering any questions you may have and letting you know your treatment options. We offer most dental services you need, from cleanings and checkups to smile makeovers and dental implants. From professional, regular cleanings to more complex dental procedures, we can help you restore the beauty and function of your smile in a relaxed, comfortable atmosphere and as painlessly as possible. We see patients who are experiencing dental emergencies on the same day during our office hours, including new patients to our practice, and always have done so. We are also open on Saturdays. 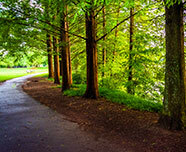 If you have a dental emergency such as a knocked-out, broken or cracked tooth, we will want to see you right away.